Lemax Santa's Cable Car provides a moving street tramway set with realistic sounds to compliment your miniature Lemax village display. 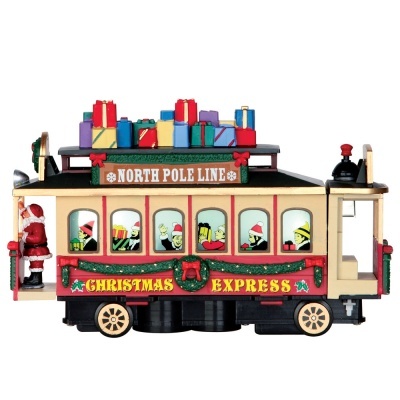 Scaled and themed from the Lemax Sights & Sounds range, the Santa's Cable Car is a ready-to-run continuous end-to-end complete tram set for adding movement and sound to your Christmas street scene. 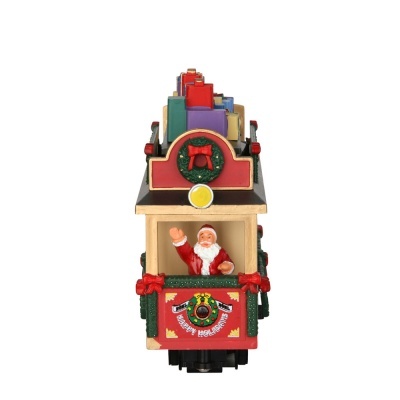 The Santa's Cable Car is a recent Lemax collectors choice which joined the growing Lemax Santa's Wonderland range in 2016. 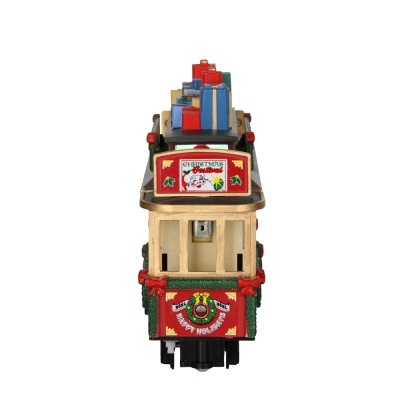 Christmas Cable Car is battery operated allowing this set to have placement in any choice of location indoors. 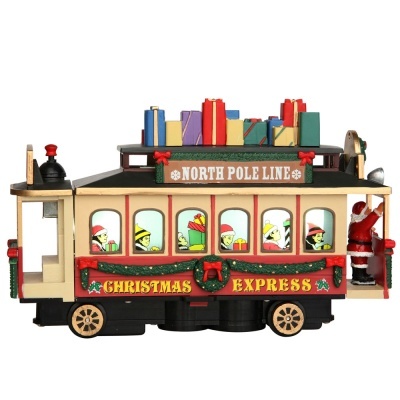 Lemax Collectors have been known to place this seasonal street tram set on a mantlepiece setting, for continuous running in a forward and reverse operation for the delight and wonder of children. 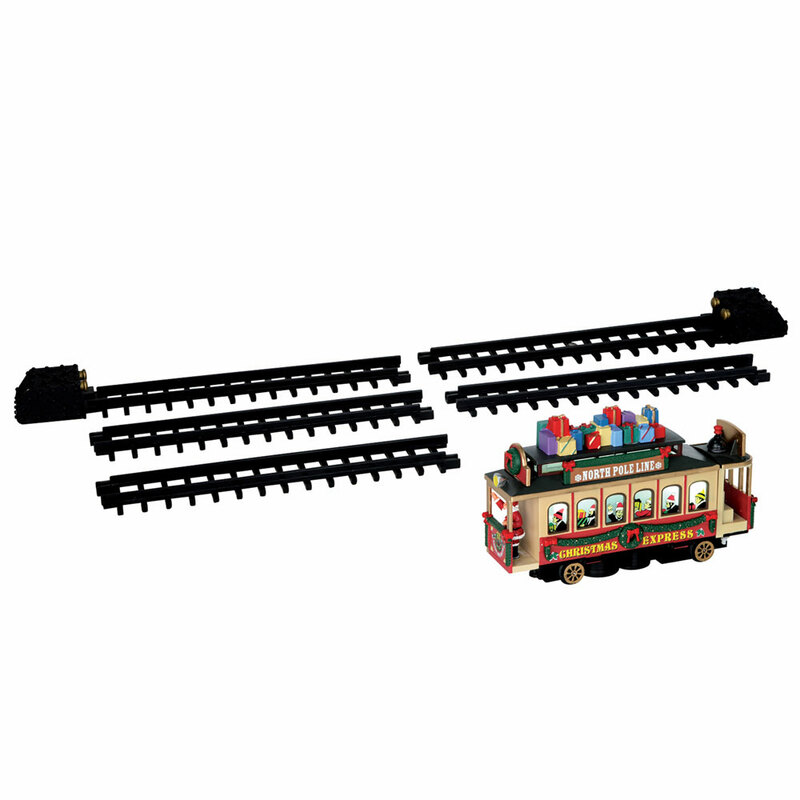 Track set can be expanded by purchasing additional track sections to expand the length of the straight run. Realistic tram bell sounds accompany the movement of the street tram, with the addition of a musical track too. It looks very good but have not tried it. I will be putting my Lemax village up begining of December and then I will try it. Excellent, easy ordering process, fast delivery and great item too. Will definitely use again.